Salsa is this great nation’s number one condiment. I’m a dedicated contributor to keeping that statistic alive. I’ve dabbled in many a fresh salsa recipe but never took the plunge to make the cooked and jarred type. 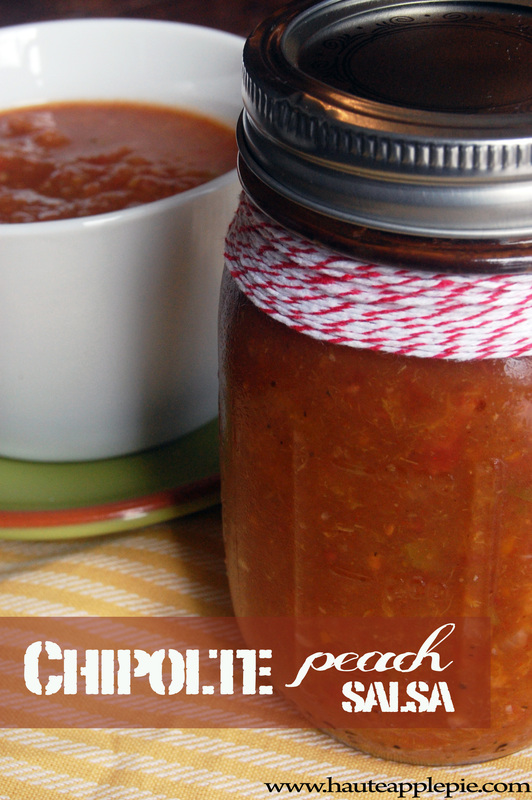 Thanks to the lovely folks at Washington State Stone Fruit Growers, I was able to create this sweet and smokey Chipolte Peach Salsa that has been getting rave reviews across the area. I want to make a special note that making this salsa is not hard! I’ve always thought this to be a daunting task, but it was pretty painless. 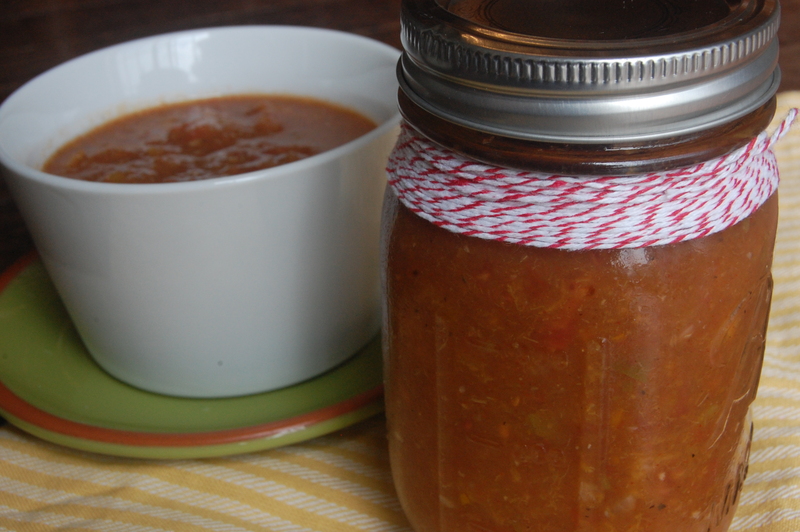 This salsa can be jarred and kept for a long time or refrigerated and kept for 3-4 weeks. To get all the tips on canning and preserving, visit www.sweetpreservation.com. 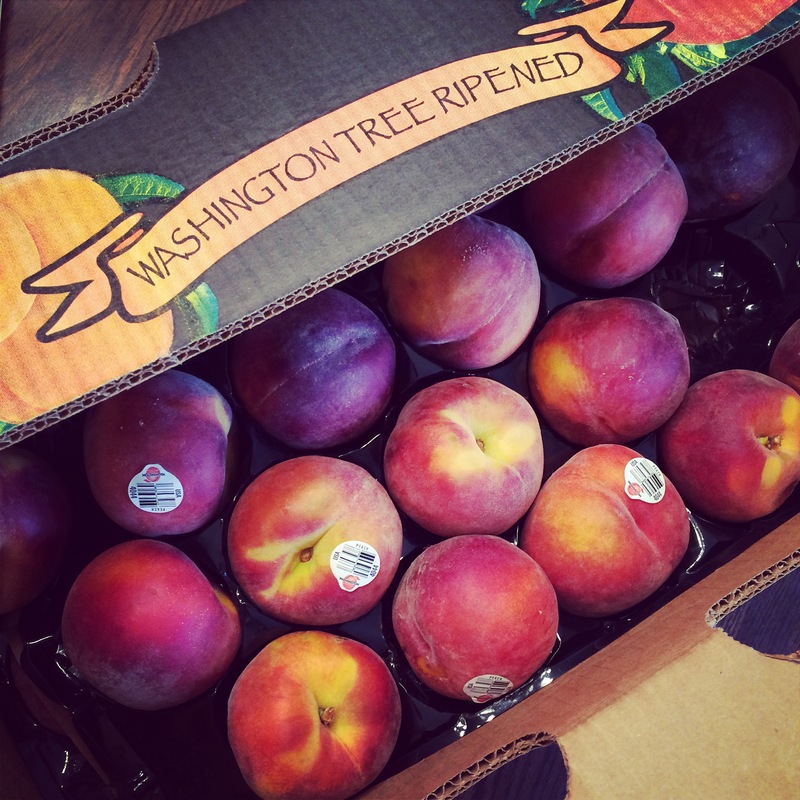 To peel the peaches and tomatoes, start with a large stock pot of boiling water. Place tomatoes in the water for 2-3 minutes, or until the skin starts to split. Immediately place tomatoes in ice bath to cool. Once cool to touch, the skins will slide right off. Cut into large chunks. Using the same pot of water, do the same with the peaches. These will likely only need about 1 minute until the skin starts to peel away. Place in ice water bath, peel and cut into chunks. In a large stock pot, add tomatoes, peaches, green pepper, onion, garlic and apple cider vinegar. Heat on medium-high heat and stir. Add paprika, chipolte powder and salt. Stir and allow to simmer for about 10-15 minutes. Remove from heat. Using an immersion blend, blend ingredients together to your preferred texture. (I like it a little chunky). Spoon into jars and following preserving instructions. This salsa is great as the standard chip dip or taco topper, but it is also a delicious sauce for a sweet, savory and spicy dinner. I’ve used it in the crock pot for pulled pork, pork loin and beef roast. Just pour a few cups over the top of your meat and cook on low for 6-8 hours.